Are you on holiday and wish to preserve fit and healty? Swimia.com delivers you the effortless and quickest solution to discover Aquabike in Germany near your present location. 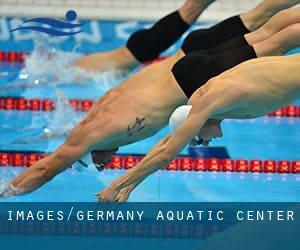 Try any Germany Swimming Lessons to tone and lower size conveniently. Use the menus, the finder box or go directly to our sitemap to find the nearest Water Aerobics in Germany. Experienced swimmers already understand that swimming is a sport that requires a lot of perseverance. So, whether or not you are visiting Germany on holiday, or moving for very good, we encourage you to check out our catalog on Germany Aquatic Center. Swimmers like you reported several pools in Germany and its vicinity, contact any Germany Swimming Lessons before dropping by. Timetables for Germany Aquatic Center are changing from time to time, so we recommend you check the schedule of the pool you choose to visit by contacting them. There are many factors why you need to choose a heated swimming pool in Germany. The most vital a single relies on the importance of keeping the body temperature stable. When the water is too cold, your body will try to warm it up and you will lose strength to swim appropriately. If you're tired of having eyes and irritated skin, locating a saltwater pool in Germany might be the resolution. You'll want to understand that the level of salt from these pools is well below the level of salt from sea water, particularly they are talking about a tenth or much less. There are a number of alternative treatments to chlorination, with great benefits that make sure much better water top quality in the pool. One possibility is the mineralizer, which purifies water naturally and considerably decreases the chemicals applied and maintenance time. Try Chlorine Absolutely free pools in Germany. One with the advantages of outdoor swimming in Germany will be the possibility to sunbathe during the summer time season. Taking it with extra care, sunbathing is wholesome because introduces Vitamin D into the body, so the top selection seems to be switching between indoor and outdoor pools depending on the season. Enjoy the best indoor pools in Germany and don't worry about the weather. These facilities are open all seasons and you can enjoy a swim at the same temperature every day of the year. Updated on 2019 Hagäckerstraße , Kemnat , Ostfildern (Postal Code: 73760). Swimmers like you reported 25 meters x 8 meters, 0.8 meters - 2.0 meters depth, 0.8 meters - 2.0 meters depth, Indoors. Phone number and e-mail address are number for this Swimming Pool. Updated on 2019 Friedrich-Pfennig-Straße 24 , Heidenheim (Postal Code: 89518). This sports center provides Olympic size x 21 meters, 10 lanes, Indoors. Contact information for this Pool such as phone number and e-mail address are number. Updated on 2019 Schulstrasse 12 - 14 , Wagenfeld (Postal Code: 49419). Among all of the activities offered by the center, if you are keen on swimming you will appreciate 25 meters, 4 lanes, Indoors. If you might want to make contact with this Pool, email address and phone number are both number. Updated on 2019 Theaterstraße 2 , Emden (Postal Code: 26721). Swimmers like you reported 25 meters x 12.5 meters, 5 lanes, Indoors. Unfortunately we do not have the email address of this Pool, but we can provide you with the phone number. Updated on 2019 Lange Feldstraße 15 , Gehrden (Postal Code: 30989). Among all of the activities offered by the center, for anyone who is interested in swimming you are going to delight in 25 meters x 10 meters, Indoors. If you should contact this Swimming Pool, email address and phone number are both number. Updated on 2019 Cappeltor 6 , Lippstadt (Postal Code: 59555). Swimmers like you reported 25 meters, 4 lanes, Indoors. Unfortunately we do not have the email address of this Swimming Pool, but we can provide you with the phone number. Updated on 2019 Stadtmauerstrasse 35 , Erlangen (Postal Code: 91054). This sports center delivers 25 meters x 15 meters, Indoors. Contact facts for this Swimming Pool similar to phone number and e-mail address are number. Updated on 2019 Panoramastraße 10 , Uhingen (Postal Code: 73066). Swimmers like you reported 25 meters, 6 lanes, Indoors. Unfortunately we do not have the email address of this Swimming Pool, but we can give you the phone number. Updated on 2019 Händelstraße , Kronenberg , Aachen (Postal Code: 52074). Swimmers like you have reported 25 meters x 12.5 meters, 6 lanes, 1.8 meters depth, 1.8 meters depth, Outdoors. Also, you will find 17 meters x 14 meters, 4.5 meters depth diving well, 4.5 meters depth diving well, Indoors. Just in case you wish to get in touch with this Swimming Pool before dropping by, we only know the phone number. Updated on 2019 Haferkampstraße 66 , Varel (Postal Code: 26316). Among all of the activities provided by the center, if you are considering swimming you may get pleasure from 25 meters, Indoors. Just in case you would like to contact this Pool before dropping by, we only know the phone number. Updated on 2019 An Den Heilquellen 4 , Freiburg (Postal Code: 79111). Among all the activities provided by the center, if you are keen on swimming you can take pleasure in 25 meters, Indoors. If you will need to make contact with this Swimming Pool, email address and phone number are both number. Updated on 2019 Dammarkstraße 6 , Mittenwald (Postal Code: 82481). Swimmers like you reported 25 meters, 5 lanes, Indoors. Phone number and e-mail address are number for this Pool. Updated on 2019 Postillonstrasse 17 , Munich (Postal Code: 80637). Among all the activities provided by the center, if you're thinking about swimming you are going to get pleasure from Olympic size, 8 lanes, Outdoors. If you will need to contact this Swimming Pool, e-mail address and phone number are both number.